Matsumae is the cousin of Saburo Kitajima. She left her house to aspire becoming a singer after Kitajima commented that she could make it. After training as an apprentice under Kitajima, Matsumae made her record debut in 1969. However, her life as a singer was put to a sudden end due to a traffic accident only 2 years later. Showing difficulty in carrying out an everyday conversation, let alone singing, she persisted to make a comeback. 8 years later, her efforts came into fruition and successfully made her comeback. Through persistent campaigning, many of her singles such as “Iwai shigure” and “Uimago” became hits. Songs such as “Meoto Gusa”, “Uki Gusa Bojou”, “Hana Machi Ichidai”, “Sakaba Jouwa, and “Hana Zakura” are considered to be many people’s favorites. 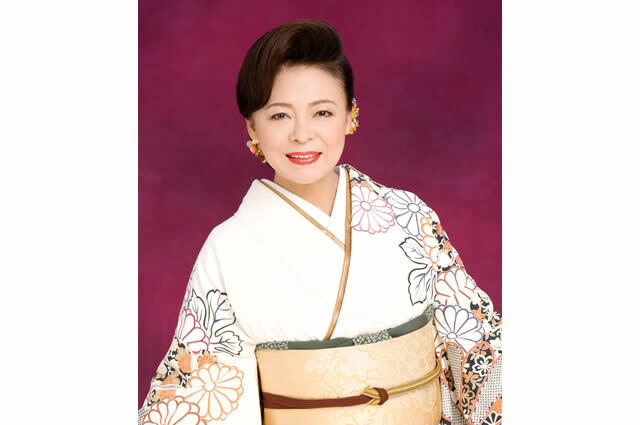 In June 2005, Matsumae released “Itawari Zaka” to mark the 25th anniversary of her comeback and held her 25th anniversary concert at “Yomiuri Hall” in October. She released the song “Masaka” as celebration of her 40th anniversary since her first debut.